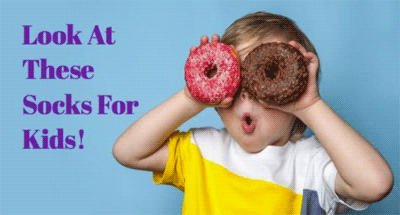 15% Off $15 or More. Limited time offer. 25% off Knee High Socks. Limited time offer. 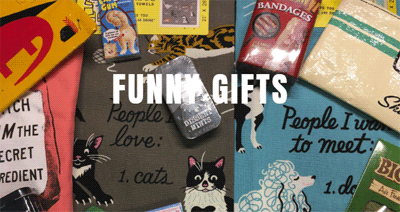 15% Off When You Buy Over 3 Items. Limited time offer. 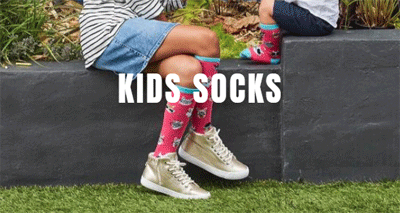 25% Off Kids Socks. Limited time offer. $10 OFF $40 (before shipping) OR MORE. Limited time offer. 20% off $20 or more. Limited time offer. 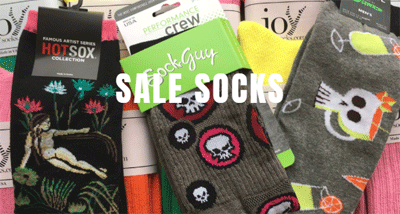 30% off all mens' socks. Limited time offer. 25% on Women's Knee Highs. Limited time offer. Up to 50% Off Sale Collections. No coupon code required. Click link to activate. Kids socks from $5. No coupon code required. Click link to activate. 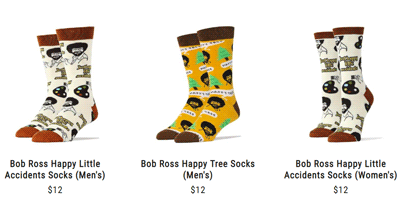 Bob Ross socks from $8. No coupon code required. Click link to activate.